Ojasvi Corporation is a professionally managed, leading organization engaged in trading and supplying broad collection of Metal working tools. Ojasvi Corporation study the customer needs, existing practices, scope for improvement, and then offer a matching solution from the available vast product mix. Application Engineering, pre-sales and post- sales technical services are the hallmark of Ojasvi Corporation functioning. We have entered the Construction, OEM and Maintenance market to sale and supply specialty products. Our company has associated with M/s Euroboor BV - Holland, M/s Proxxon GmbH - Germany, M/s Parson Adhesives, Inc USA to cater to the niche market. Euroboor, Proxxon and Parson adhesives are internationally renowned manufacturer of premium quality industrial portable tools, adhesives and sealants which are used in structural jobs and applications in various industries. Euroboor established in 1977 and has active presence in 58 countries around the world including whole of Europe, Africa, America, Asia and Middle-east. Proxxon have been producing micromot and industrial tools for almost 30 years. High quality fine power tools for model makers, opticians, jewellers and more. All the tools you need for delicate work. They are quiet, precise and vibration-free for extended use during hours.The PROXXON range has over 50 machines and are world leaders in miniature tools. Parson adhesives, is a research based adhesive manufacturer with wide range of products suitable for every industry. 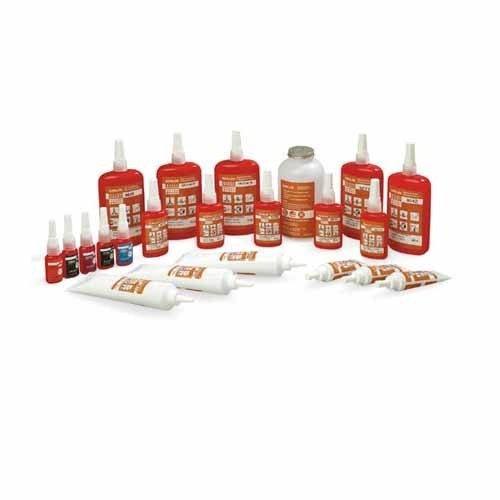 Over 100 types of adhesives reflect the universal product range suitable for industrial manufacturer, the engineer, the craftsman and the consumer.